The Future Of Marketing – Why It Probably IS Rocket Science! Fancy a glimpse into your (marketing) future? Well, imagine hundreds of tiny Australian-launched satellites roaming above Earth, providing you with FREE internet and FREE phone calls, connecting a myriad of devices to a labyrinth of the Internet of Things (IOT). And the small cost on your part? Marketers snare ALL your data in return. 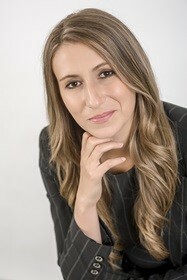 As “Skynet” as that may sound, it’s not some futuristic fantasy of a sci-fi film, it’s happening right now according to Flavia Tata Nardini (pictured below), the CEO of Australian-based Fleet Space Technologies, a local firm who specialise in building, what it calls, “nano satellite solutions”. Sure, we’ve been playing with the idea of the IoT for a while now – this idea that your connected running shoes will tell your watch to tell the fridge to order the groceries and the kettle to order a take-away with exactly 1450.5 calories. But for Nardini the nascent technology will soon pervade all parts of our lives. “The IoT will create 10 billion sensors by 2020, so it really is a new industrial revolution and it’s huge and it will disrupt everything, it will create jobs and efficiencies, it will become staggering and it will be really great. “This is the fourth industrial revolution that we’ve been talking about and it will change the world like every revolution before it. People talk about it happening, but the technology is now here and so it will happen. The problem has been that we’ve not been able to link all the censors and we’ve finally discovered how to deal with that final part of the puzzle,” Nardini explained. Nardini warned that businesses who didn’t adapt to the change would lose customers to competitors who did. And it was the clever brands who’d manage and placate consumer fears, to sell the massive advantages over the small number of disadvantages. “The great thing about the IOT is its data, and it will be about marketers’ ability to connect that data. It’s intelligent data and it will be about all these different verticals of data that will be available to marketers, it will be a huge resource. “And it’s already happening – every time you Google something it tracks your movements, what you plan on buying next. And having access to this data will bring a marketers’ business to that next level. “Fleet Space Technologies is creating a net of a 100 satellites around the globe to collect the data, and my job is to collect all the data, from all the censors, and dump the data in a cloud, and the cloud knows the trends and that means marketing strategies are going to need to be based in huge clouds. We’re already seeing marketing companies creating ways to access these clouds and, yes, that costs money, but it’s those companies who will be the successful ones and the ones who don’t are the ones who will be the big losers here,” Nardini concluded. For further information on everything ad:tech click here.